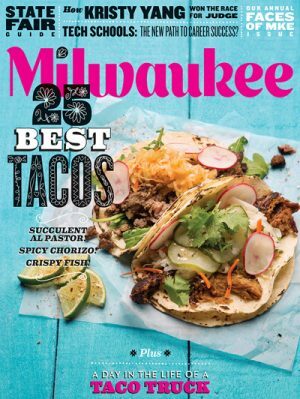 Milwaukee Magazine is a respected, award-winning city magazine covering southeastern Wisconsin. For over 30 years, the magazine’s spirited editorial and sophisticated design has earned it more than 225 national and local awards. Since 1983, the magazine has been providing an alternative news source that offers readers in-depth reporting, useful service features, winning personality profiles and entertainment coverage, including the most comprehensive dining guide in the region.